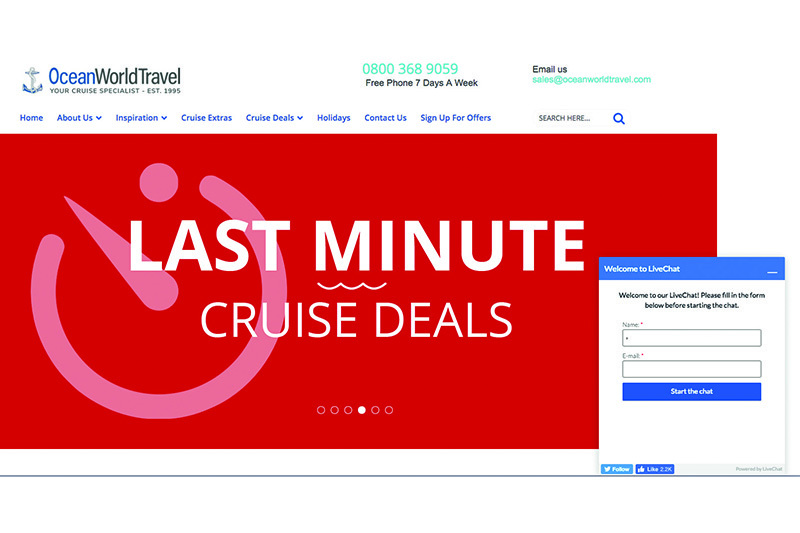 RTC Travel Consultants started using web chat technology in 2015 when it had a new website developed. Director Gordon Rozario says the agency used ClickDesk as its provider and explains that it is really simple to set up. The best part was that adding the functionality to the website was free of charge. “You get 30 chats per month with 10 agents able to use it at once but we ended up upgrading to the Lite package for $14.99 per month, which gave us unlimited chats as we were doing more than the free allocation,” explains Rozario. RCT found that web chat had two major benefits. Rozario explains that one issue RTC came up against was when a customer went to use web chat but there was no consultant available to speak to them. So it added a function whereby a customer has to enter an email address to use it so the team can follow up easily afterwards. “More and more people want to chat online especially when they don’t know what they are looking for. Sometimes they want some general information about somewhere they are thinking of going but it all builds customer loyalty,” he says. Web chat is nothing new for Ocean World Travel. Commercial director David Hearn says it has been using the technology for about 10 years but back then there was just one person managing it – you had to pay per licence. It didn’t work so well so they “came away from it for a while”. The software it uses now, LiveChat, offers a package with unlimited chats and includes the option for six chats to run simultaneously. “We’ve been trialling some different things with it just recently. Most people use web chat reactively with the customer initiating the conversation but with this technology we can see what page they are looking at on the website and can initiate the chat – we’ve made a couple of bookings that way,” he says. Hearn estimates that the number of bookings that originated via web chat amounts to “around six so far this year” and that typically an enquiry made via this channel would reach the point of looking at pricing, at which stage they would continue by phone. The agency has tried different ways of manning web chat but found that giving all staff access was the best way to ensure messages were picked up. Outside of office hours requests are redirected to an email address so they can be picked up later. Looking to the future, Hearn notes other capabilities that could add to the web chat experience. “Sharing screens via web chat so we can share deck plans with customers or turning it into a video conversation so we can speak to the customer face-to-face could be good, assuming the customer was comfortable with that option,” he says. Kuoni introduced web chat four years ago and, according to its recent Worldwide Trends report, it is seeing more customers make enquiries this way, with 33,288 chats in 2017 compared with 27,196 in 2016. The report says that web chat makes for a great first point of contact and although people don’t book on the basis of web chat alone, it is a “great ice-breaker”. 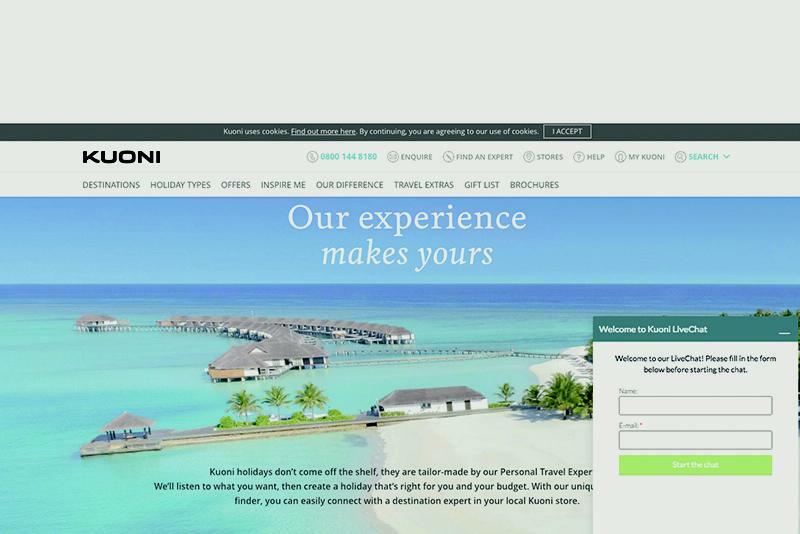 She adds that the chat function is only visible on the website if one of Kuoni’s personal travel experts (PTE) is available to avoid customers waiting. Naturally web chat works better in some situations than others. Specialising in clubbing holidays for the 18-25s, Party Hard Travel has found web chat to be a key tool in engaging with potential customers. “Our market wants to book online rather than over the phone and if they are on a website and can’t find the answer to their question quickly they will go elsewhere,” says co-founder Nathan Cable. Party Hard was using option two but it took the decision to change to option one at the start of February. “When we made the switch we saw a 36% increase in chats compared with the previous month. We do find the overall quality of customer isn’t as high so it’s more labour intensive but it does ultimately result in more conversions, ” Cable explains. 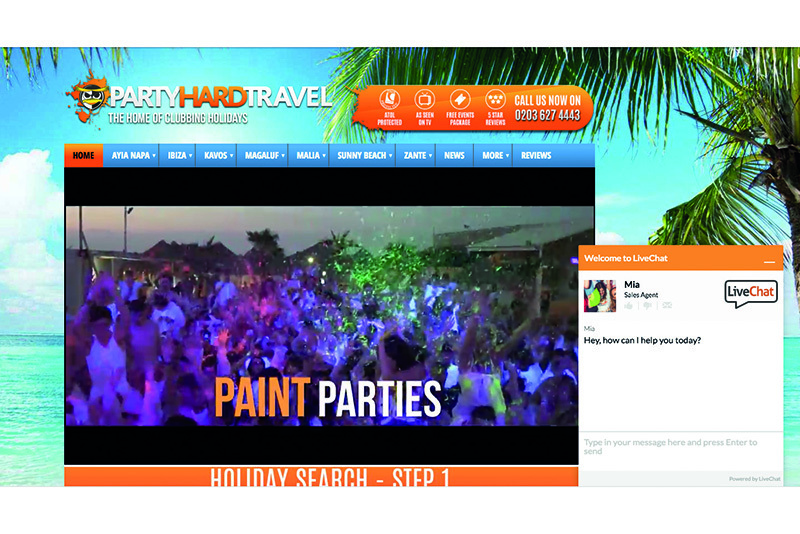 To make the experience more personal, Party Hard Travel uses images of the member of staff manning the web chat. “I think it makes a difference as customers feel more secure knowing they are talking to a real person and in their picture they are wearing a Party Hard t-shirt, too. There are lots of scammers in this segment of the industry and youngsters can be wary of who they book with,” says Cable. He adds that roughly 20% of bookings involve web chat at some stage of the journey and that it is also a key tool for after sales. “Customers use it to make booking amendments, ask how to pay their balance and check details about hotels,” he says.